This month we spoke with Jen the owner of Marsh Millinery to find out about her gorgeous millinery label and what inspires her work. What inspired your decision to become a milliner? About 13 years ago (give or take) I made my first hat when I was living in Griffith (in the Riverina), NSW. I think from memory a work colleague told me about week-long courses in Wagga and for the life of me I cannot remember but I either made my first completed hat there or on a weekend course in Canberra with the fantastically talented Waltraud Reiner. I think at the time my main motivation was the fact that the BnS scene didn’t really interest me anymore (clearly I thought I was getting way too old for that sort of shenanigans) and going to local races within a few hours of Griffith seemed like a fun thing to do for socialising. It really wasn’t about fashion at all initially, but I do like getting dressed up - it was like I am heading for my late 20’s let’s find myself a husband (lol). On a side note, that is not where I did actually meet my hubby (though I do drag him along to the races on occasion I still shudder about what he wears – though he will wear a hat it is more about sun protection than anything else). Anyway, to keep a very long story much shorter, I was very limited to what I could obtain for the races living in the Riverina, so used to take annual leave from work and then do hat courses. Two interstate moves later, one child later and I’m still making hats and still doing courses – there are always something different to learn. Over the years I have progressed making from making hats for myself and now for others around full-time work (and the occasional bridal piece for friends). What has been your favourite piece so far? 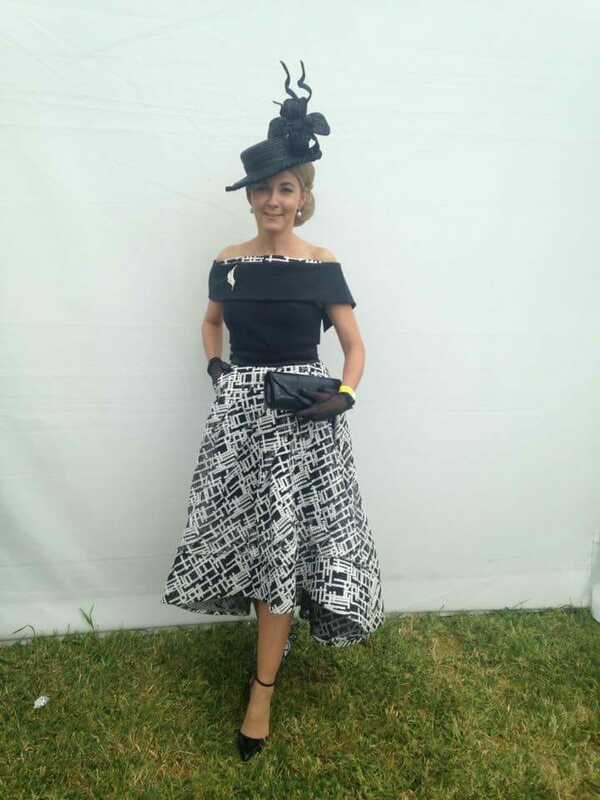 Well I probably have two – the hat I made and wore to Adelaide Cup in 2013 (pictured) which luckily helped me win the FOTF and then represent SA in the National Finals at the Melbourne Cup Carnival. My other all-time favourite is a percher headpiece I matched to my friends outfit. I used the wool fabric from her custom made outfit and also grey leather. I handmade the flowers which took considerable amount of time (they don’t look like much but gee they were time consuming) and surprisingly my vision worked. 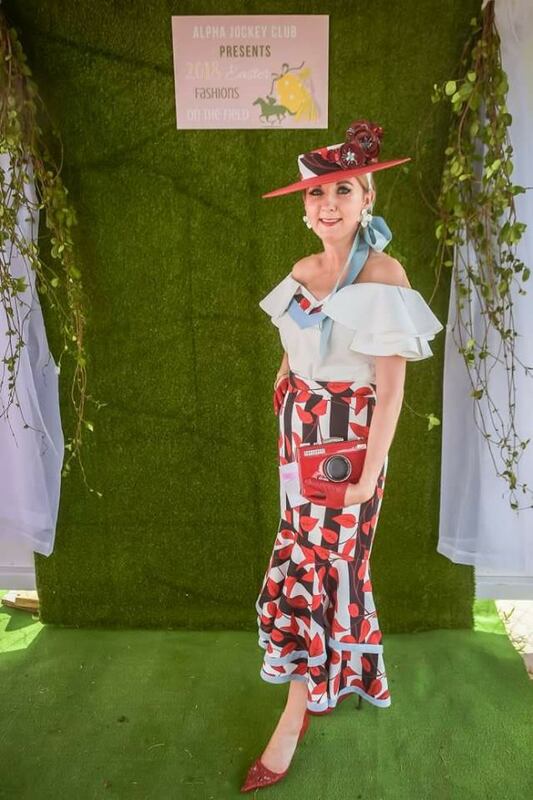 She may not have won fashions on the field but she felt wonderful in her outfit and hat, so it was a win-win for everyone really – I made a good headpiece and she felt fabulous. How absolutely stunning is this look? 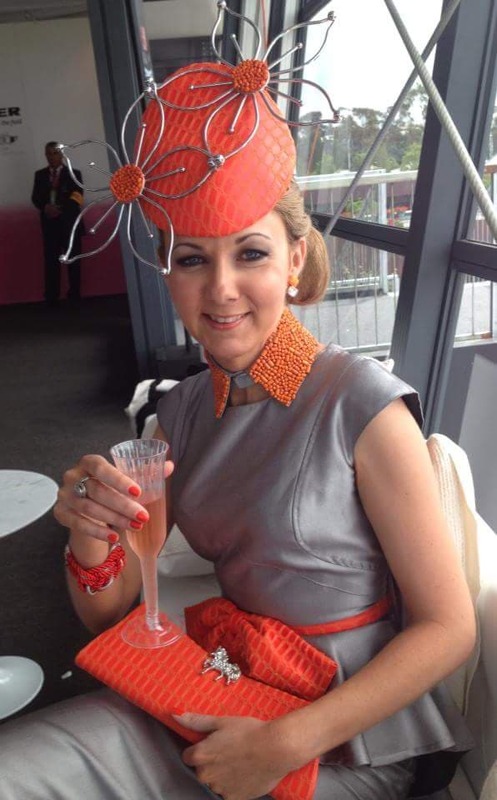 Melbourne cup is just around the corner, what do you think will be the big trends this year? Oh trends – I am no guru here but I think we will see a lot of larger brims, the boater will still hang on for another year I think but may be transposed into larger crowns, tie ribbons underneath and more of a matador look. All I can say is get in early. Unlike a lot of other Milliners, I work full-time in another field (a rather boring field actually – lol) so I only take on a certain amount. I do try to check my emails regularly but somethings things are missed (mental note not to sign up to so many website subscriptions – damn you internet shopping). So, it is best to contact me through Facebook www.Facebook.com/MarshMillinery or via @marshmillinery on Instagram. I then discuss with you colours, styles, fabrics (leather, felt, straw etc), budget and most of all what you like and dislike. Most of the time the client has either the outfit already or in the process of being made so a lot of the time I get my clients to send me fabric swatches OR their outfit. I guide my client through colours that complement well and I always ask about what accessories they are planning to wear and how they are having their hair etc etc. If a client is unsure about what will suit, I guide them in the right direction. If there is a specific style that I know is not my forte, I will recommend others that I know specialise in that area. If someone wants a direct copy of a hat, I politely decline or refer them onto the Milliner that I know made the hat that they are after. It is all about working with the client so that we are on the same page and I provide them with a headpiece that they will really be happy with. Thank you for taking the time to write this blog for us Jen. Ladies please contact Jen asap to secure her services for Melbourne Cup 2018.